Thank you for visiting the website of our vintage furniture business. 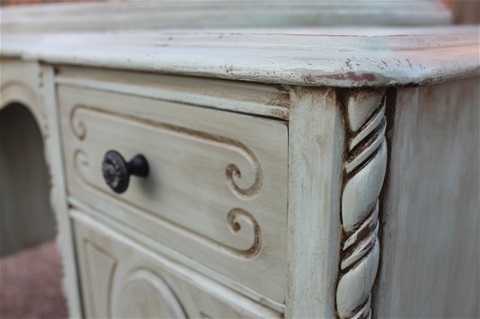 We enjoy taking old pieces of furniture and making them beautiful again. Just as our Lord and Savior Jesus Christ has redeemed us and has given us new life, we have taken old pieces of furniture and "redeemed" them - giving them new life with beautiful colors and special finishes that will look great in your home! Please browse through our "showroom". Hope you find that Heavenly Piece you can't live without! These beautiful hand painted pieces are one of a kind - all sales are final.